Local protestors in Ferguson, Missouri, have had enough of the commie agitators. If ever there was an anachronistic boogeyman, communism is it. Since its heyday in the 50’s, the fear of communism has steadily lost most of its McCarthy era bite. For many, the fall of the Soviet Union closed the case on communism as a failed ideology. 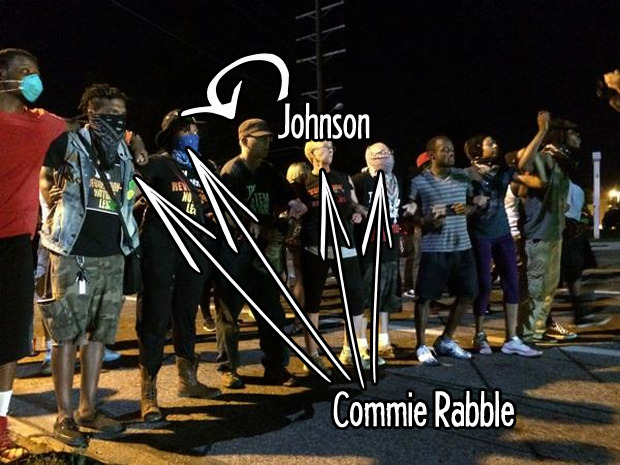 But if recent events in Ferguson are any indication, communist revolutionaries are still alive and well in the USA. 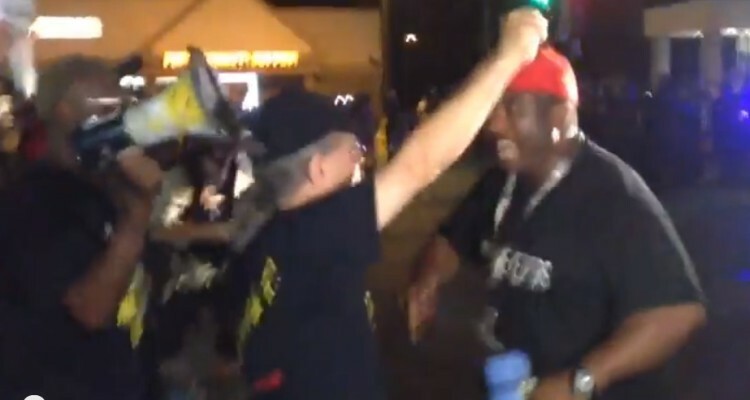 The scenes of violence coming out of Ferguson have inundated the news. But what most people don’t know is that communist groups from around the country have been traveling to Ferguson, Missouri in order to incite that violence. 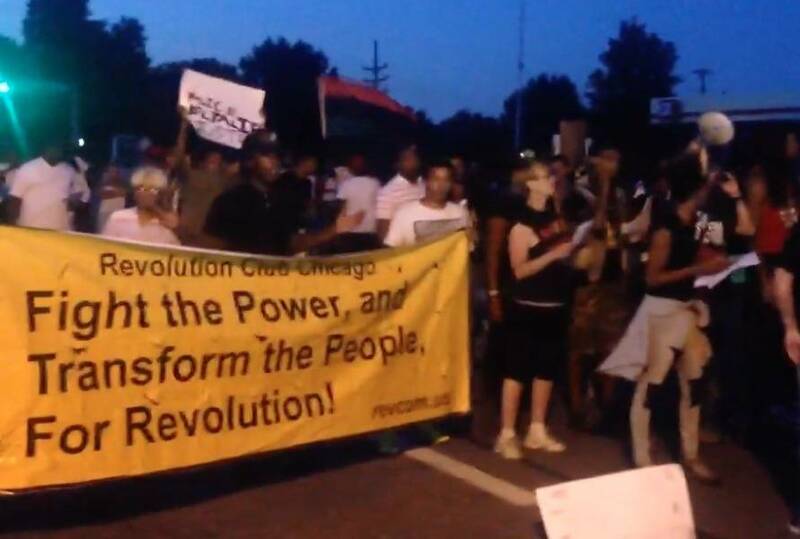 Groups such as the Revolutionary Communist Party and the Revolution Club of Chicago have been sighted among the Ferguson protestors, and arrest records indicate that agitators from Texas to New York are participating in violence. These outsiders have no ties to the Ferguson community. They have no interest in finding out what really happened to Michael Brown or for seeing justice served. They are opportunistic parasites drawn to the spotlight and bent on advancing their own agenda. And, like many parasites, they do not care if their host lives or dies, as long as they are able to use it long enough to grow and reproduce. That’s Gregory “Joey” Johnson, professional Communist and wannabe revolutionary, with his commie rabble doing what commie scum do best—divide people (i.e. racial agitation) and incite mob violence. Uncle Joey, et ilk, are members of the Chicago-based Revolutionary Communist Party USA. 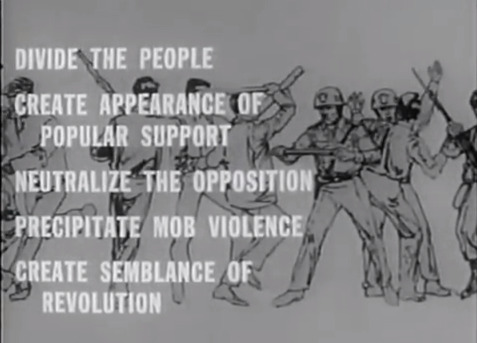 The party’s stated purpose is to lead the masses of people in making a revolution in the United States as part of revolutionary struggles worldwide, with the ultimate goal of communism—a classless world where exploitation, oppression, and all destructive divisions among people are eliminated and all people would be free to work together to build a global society for the benefit of humanity. Traitor in Chief have set the stage for the inconvenience. MH370 is still a question needed to be answered. Who’s taking them hostage?